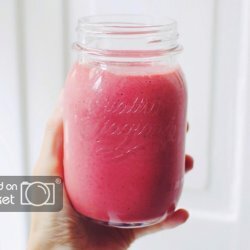 This time last year was one of the most busy periods of my life and while I am fortunately not in that super stressful and time-strapped situation anymore, I would like to share some of the things that made it possible for me to keep up with my healthy lifestyle in a situation where I only had very limited time, energy and money to spend on my meals. If you keep nutritious and healthy food in the house then that is what you will eat. It is super important to take the time to go grocery shopping and fill your fridge and cupboards with healthy, nourishing food. When I am busy I prefer to have one big grocery haul a week, which will not only help you save time and money, but might also help you stay healthier as well since you do not need to do your grocery shopping last minute when you are hungry and tired – I know that is when I am personally most prone to fall for temptations and choose the less healthy options aka. the not in any way healthy options ;) Another tip is to make sure you are full when you go grocery shopping, when I am hungry I just want to buy EVERYTHING and I kind of loose track of my shopping list and end up buying so many random and often not very healthy snacks. One of the most important things if you want to stay healthy while living a busy life is food prepping! With food prepping you can in little time prepare meals and snacks for the entire week, it might cost you an hour or two on a Sunday evening, but you will save hours and hours the following week and a lot of money too since you do not have to buy meals or snacks at work, uni etc. 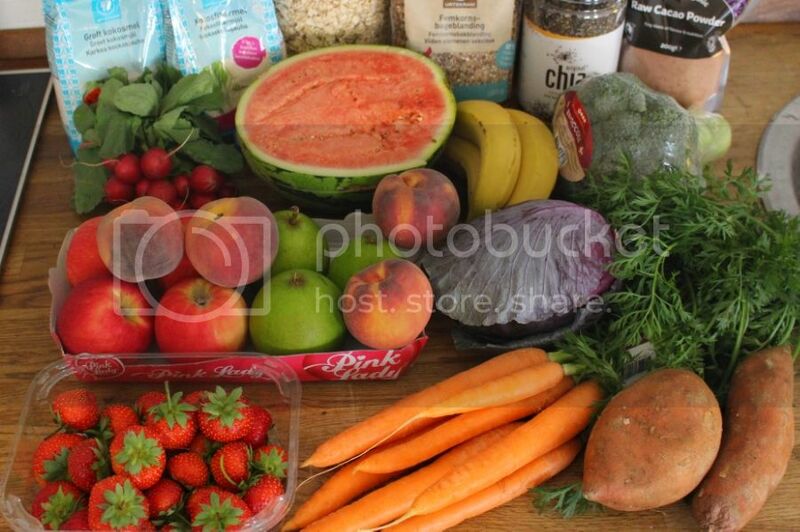 Another way to make sure that there is healthy and delicious food on the table each night, is with meal boxes, you can see the different meal boxes and prices on findmåltidskasse.dk. Breakfast is the most important meal of the day and you need a nourishing and filling meal to give you the energy to get through the day. 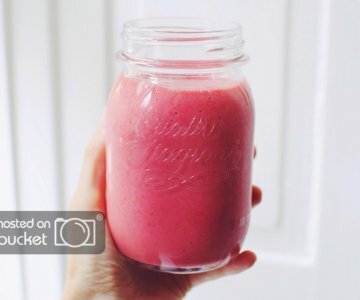 If you do not have the time to make proper breakfast in the morning then there are many healthy types of breakfast that you can prepare the night before, like for example chia pudding (recipe here and here) or overnight oats (recipe here) – you can even bring them with you to eat on your way to work/school! On Sunday and Wednesday evenings I used to make some huge mixed salads that I could use for lunch and dinner the following days. This obviously did not mean that I would just have salad, but it was a good way for me to ensure that I would get lots of greens and veggies everyday – even on the days where I would normally be too busy or tired to make a salad. The trick is to add kale or cabbage because unlike most greens it keeps its crunch for days and days + if you place a couple of paper towels on top of the salad before you cover it and place it in the fridge it should keep the salad from getting soggy. Another tip is to make big portions of whatever you are making for dinner, so you can bring the leftovers for lunch. I would usually make extra potatoes, whole wheat pasta, falafels, chicken etc. 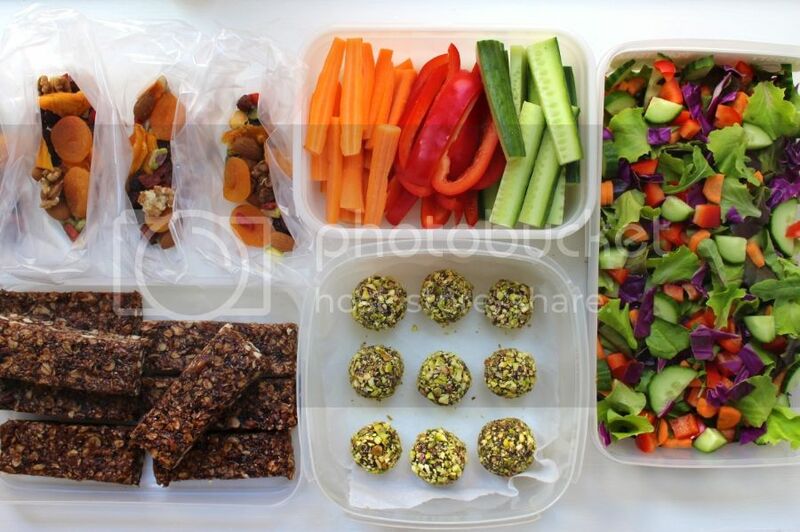 to mix with some of the salad from my big pre-prepped bowl and then all of a sudden I had an easy and healthy lunch to bring with me to uni the next day along with some fresh fruit and homemade snacks (see below). I am a huge snacker and even though I eat 4-5 meals a day I am pretty much always hungry, which is also why I find it super important to always have some healthy snacks on hand or else I just know that I will end up buying something not so healthy at the nearest 7/11 – haha I am seriously spineless when I am hungry! One of the things I like to snack on throughout the day are veggie sticks (escpecially if I have some hummus to dip them in, yum!) and they are also great to add to your lunchbox. My favourite snacks are homemade muesli bars and bliss balls, they are healthy and so easy to make + the best part is that you can make a huge batch and then just store them in the freezer for healthy homemade snacks for weeks – it does not get much easier than that! 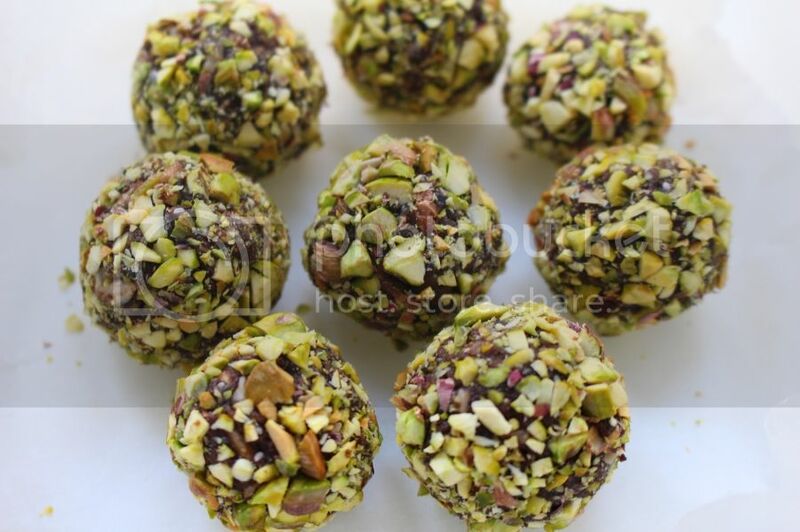 You can find the recipe for my homemade mueslibars here, date bars here, pink maca bliss balls here, healthy “nutella” balls here and I will post the recipe for the pistachio covered protein balls pictured below asap. I also love to make my own trail mix to snack on throughout the day – I often mix them in little bags that I can quickly throw in my bag for some snacking on the go. You can pretty much add whatever you like, I love to add all sorts of nuts, seeds and dried fruit. 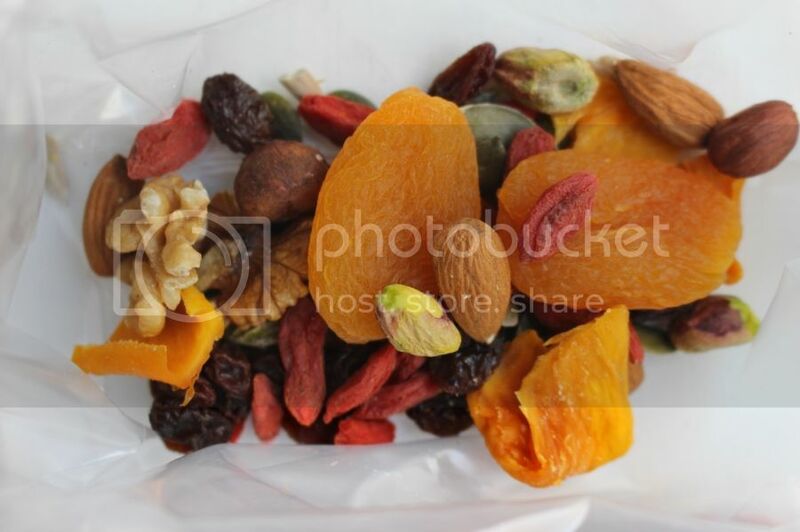 The combination pictured above is a mix of almonds, cashews, hazelnuts, pistachios, walnuts, goji berries, dried apricots, dried mango, raisins, pumpkin seeds and sunflower seeds. You can of course just buy the premixed trail mix, but if you make your own it is usually much cheaper and you get exactly the combo you want + you are sure that there is not added any hidden salt, sugar or processed stuff. Wow, just want to say thank you for helping people like me all around the world to live a healthy life. Not just mentally or physical but also emotionally. The foods and insight you post on both Instagram and your blog are awesome. Thanks a million, Ms. Miles hehe. You have shown me I can take over the world by starting to truly take care of myself and my family through food. Hope you have a blessed day and your business turns into a Multi-Billion dollar business in the name of Jesus.